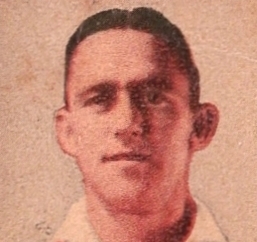 Wearing guernseys #30 and #34, Neeson played 10 games and kicked 2 goals for the Blues after debuting in Season 1936. Neeson who was born in Collingwood, also represented the St Kilda Football Club after transferring mid-season. He played 3 games with the Saints in the latter part of the 1937 season. Neeson was recruited from Cheltenham FC. Neeson passed way on the 22nd October, 1976 aged 63. "Neeson, of Carlton, who was omitted from the latter list, last week, turned up at St.Kilda last night. He played in four matches with Carlton this season and he may yet strengthen one of the weak positions in St.Kilda's attacking division." Contributors to this page: blueycarlton , Bombasheldon , molsey , Jarusa , tmd1 , true_blue24 , p(12)terg and admin . Page last modified on Tuesday 13 of October, 2015 07:18:34 AEDT by blueycarlton.